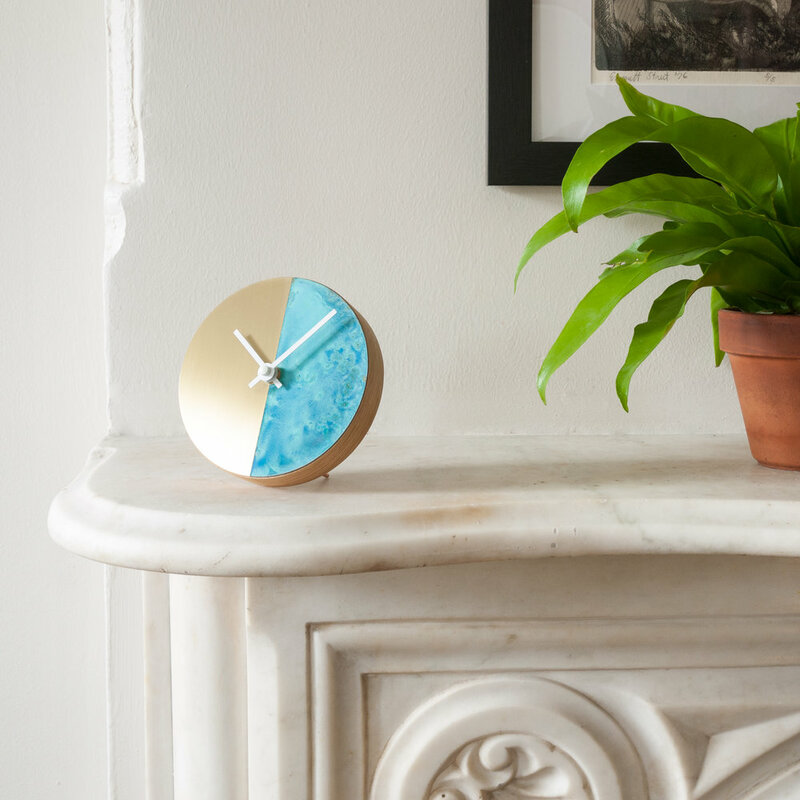 The Patina Clocks explore the duality of the material by highlighting the contrast between the polished copper or brass and the blue and green oxidation. 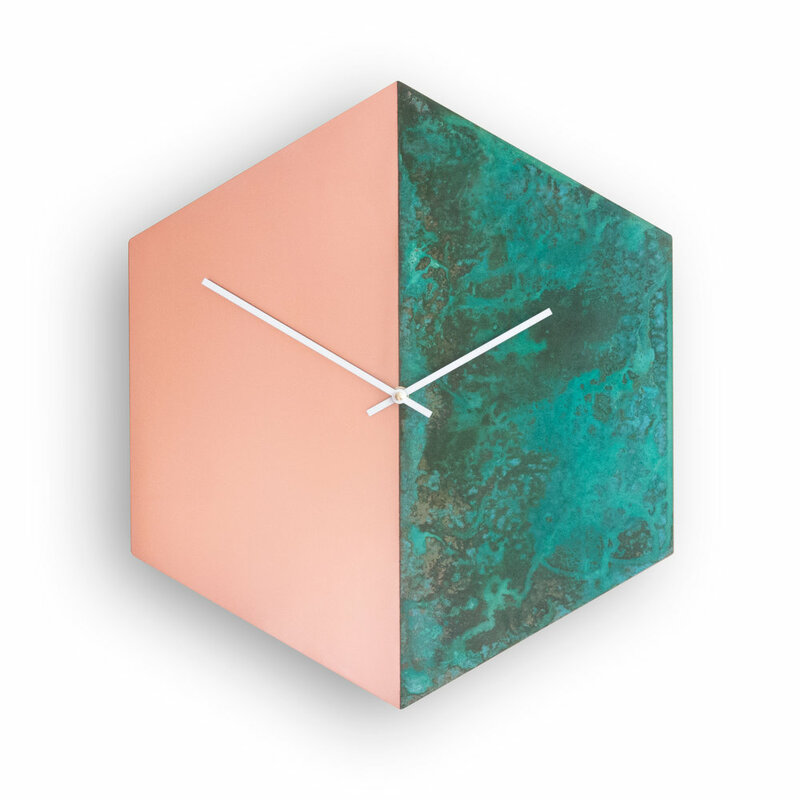 The original clocks featured a half polished/half oxidized face. Small - 5" dia x 1" | Large - 12" dia x 1"